Our staff, Asst. 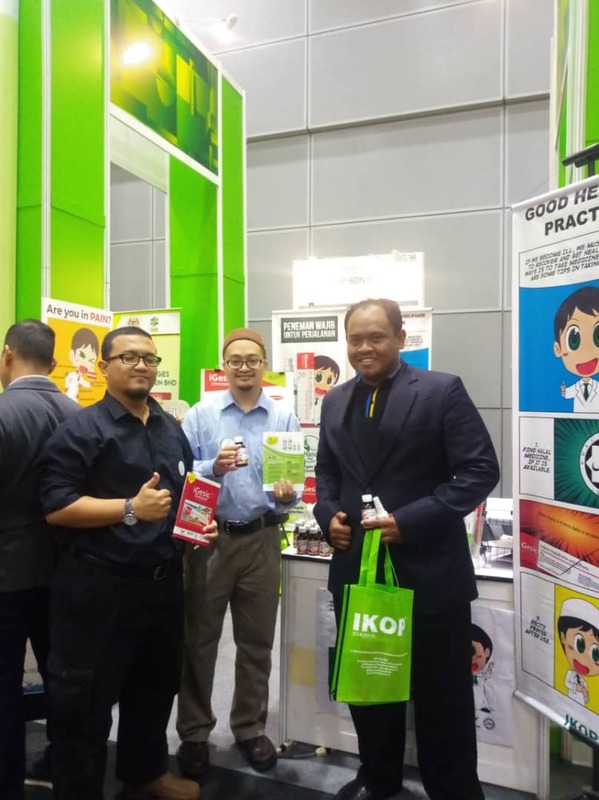 Prof. Dr. Mohd Affendi with team members Assoc. Prof. Dr. Farahidah (KOP) and Asst. 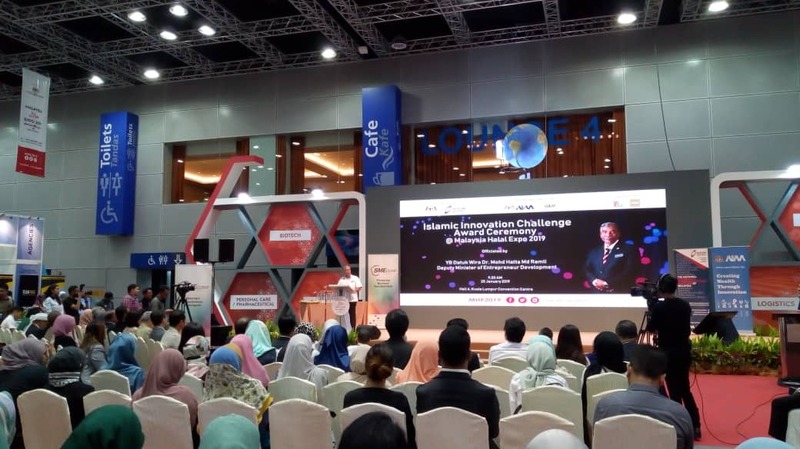 Prof. Dr. Yunita Dewi Ardini (KOD) won an award at the recently concluded Islamic Innovation Challenge Award Ceremony, held in conjunction with Malaysia Halal Expo (at KLCC, between 24-26th January 2019). 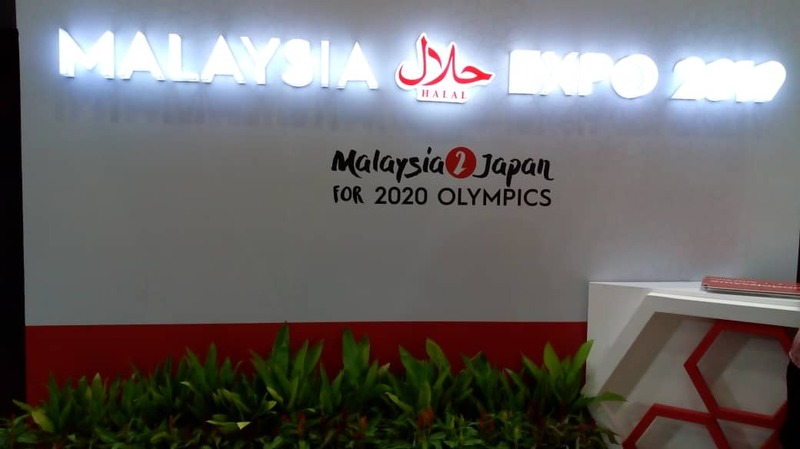 The event was organised by Agensi Inovasi Malaysia, PlatCOM Ventures and SME Corporation Malaysia in collaboration with JAKIM and Halal Development Corporation (HDC). 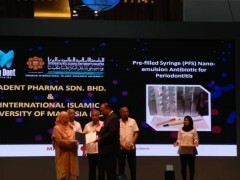 This is part of the initiative to stimulate innovations that can cater to the needs of the Halal market and the larger community. 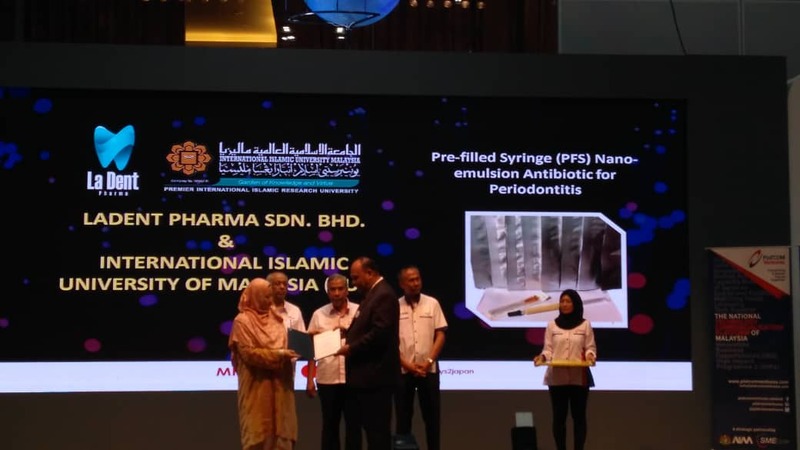 The award includes a trophy and monetary award amounting to RM410,000 for a research project in producing Pre-filled Syringe Nanoemulsion for Peridontitis. Here are some lovely pictures. CONGRATULATIONS AGAIN! Asst. 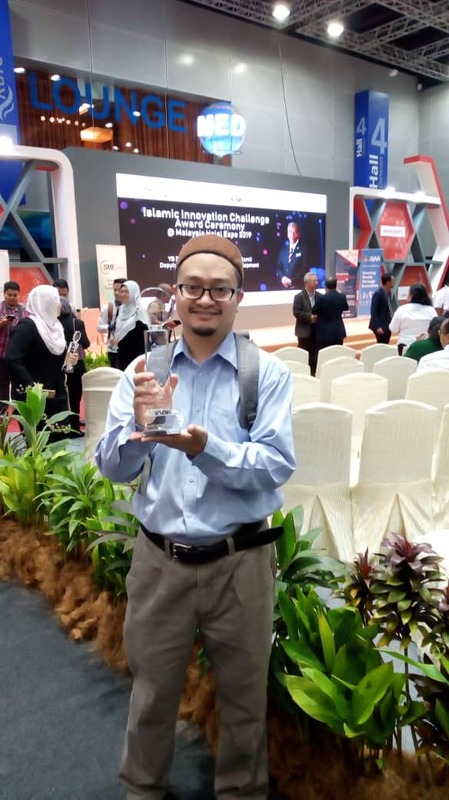 Prof. Dr. Mohd Affendi Bin Mohd Shafri with his hard-earned trophy.